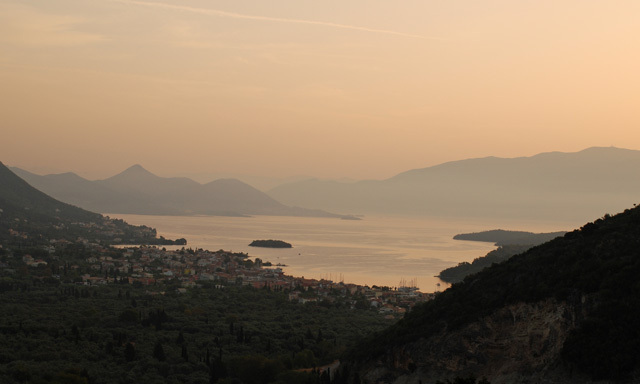 It’s been a bit tough to get going this week because I’ve just returned from 2 weeks of waking up to the amazing mountains in Lefkada. When, this morning, I found myself running in the fog it was difficult to imagine that just 2 days ago we were drinking iced coffee by the sea. 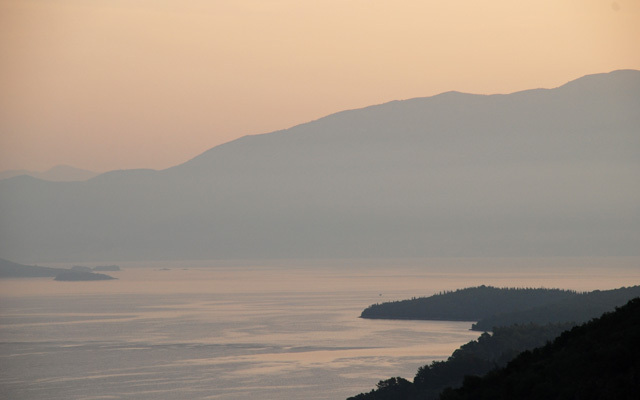 I love mountains like these, dramatic and baron…there’s something very inspiring about them, especially at sunrise when they have a mysterious air about them. Our villa was surrounded by olive and cypress trees and we were positioned high on the mountain which meant that apart from the local donkeys, it was very peaceful. Many of the village houses had covered courtyards with bougainvillea and vines. The plant palette is quite limited in such a hot dry climate but somehow the locals still managed to create a green haven where they could escape the heat of the day. 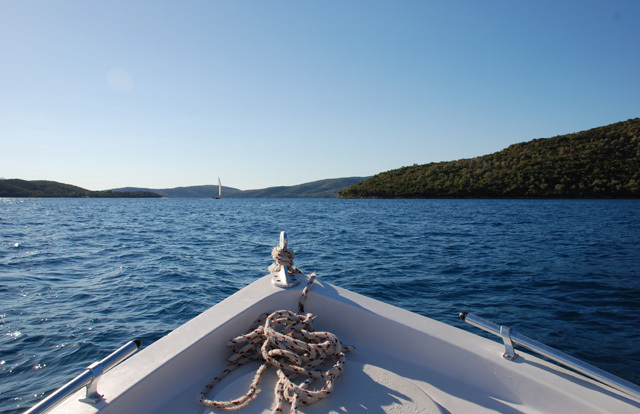 Not related to gardens at all, but I wanted to share the image I took when we hired a small boat for the day…an interesting challenge mooring the boat up for lunch at a taverna, but that’s a story I’ll keep to myself for now! When we returned to London on Sunday it was rather grey and overcast but it never ceases to amaze me how much the garden changes in just a 2 weeks period. Our lawn is green again and the autumn flowering plants have really come into their own. 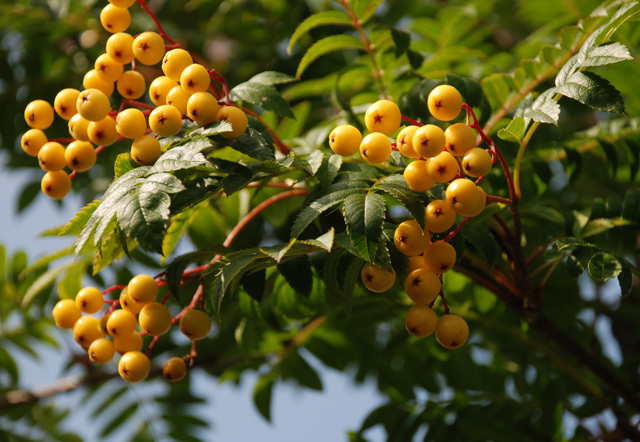 The berries of the Sorbus ‘Joseph Rock’ are looking great and will soon be enhanced further when the leaves start to turn red. The Asters are flowering at full speed too. 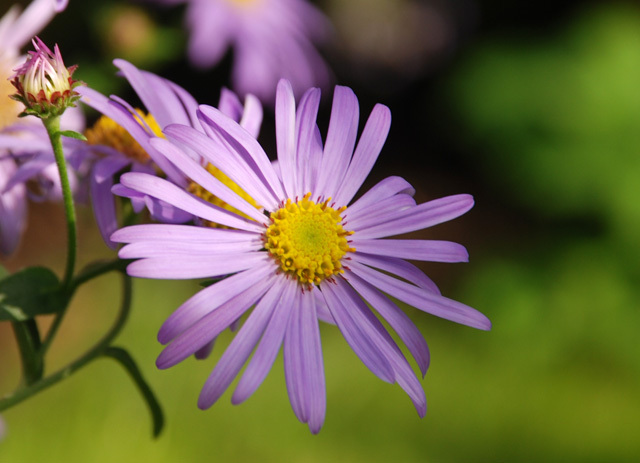 This is Aster frikartii ‘Monch’ which has a very long flowering period and will continue until the first frosts. 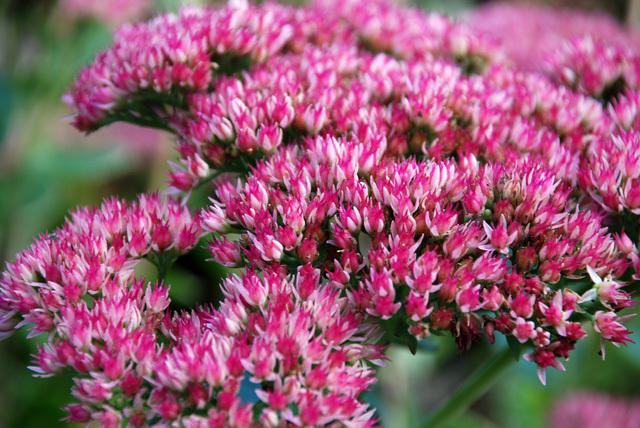 And I’ll leave you with Sedum ‘Autumn Joy’ one of the most reliable autumn-flowering perennials that gives a splash of colour and added structure at my favourite time of the year. 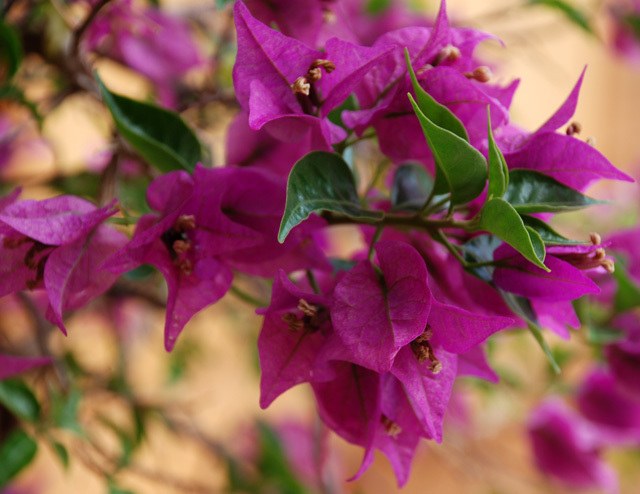 The photo of the bougainvillea took me straight back to our holiday in Spain earlier this year. It was growing everywhere there and I love the colour of the flowers. Happy days! Happy days indeed! Always reminds me of sunny holidays too.